Here at Petrest, we come into contact with many pets and animals. While Dogs and Cats remain a popular choice, having pet birds is also rather popular! Articles on our blog include Why You Should Get A Reptile, and some great ideas on DIY Pet Toys. And whilst researching those topics we were amazed at the range of toys for pet birds that we saw. Pet birds can range from tiny (and noisy!) Love Birds and Finches, all the way up to large African Grey parrots. Most birds, irrespective of size, generally require the same type of toys, if in varying sizes. 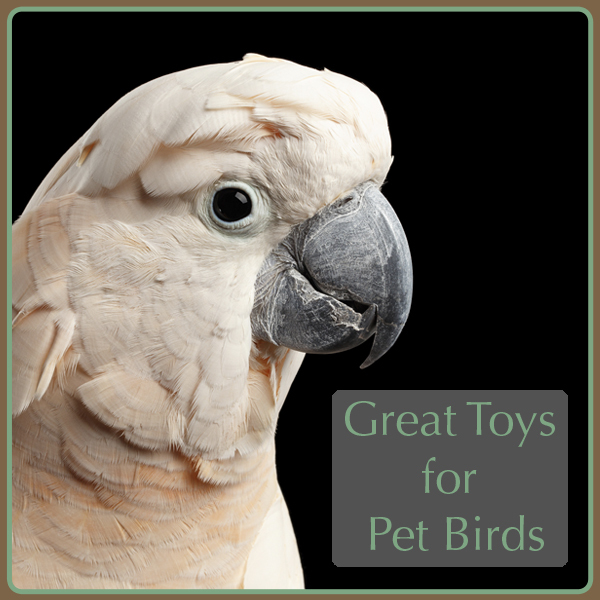 Pick toys that will allow your pet bird to exhibit some of their natural behaviours. Match the toy to the size and breed of your feathered friend. For example, a buzz-saw beaked parrot will require a much more hard-to-destroy toy than a smaller budgie. All breeds of birds like to play and express their natural instincts; having a toy to vent their aggression on is also a natural part of their behaviour. To stimulate a range of natural behaviours in your pet bird there are 4 categories of toys that you can choose from. You can buy most of these toys in a good pet shop, or easily make them from recycled materials. If you are making a DIY toy, do be sure to check that it’s suitable for your bird. 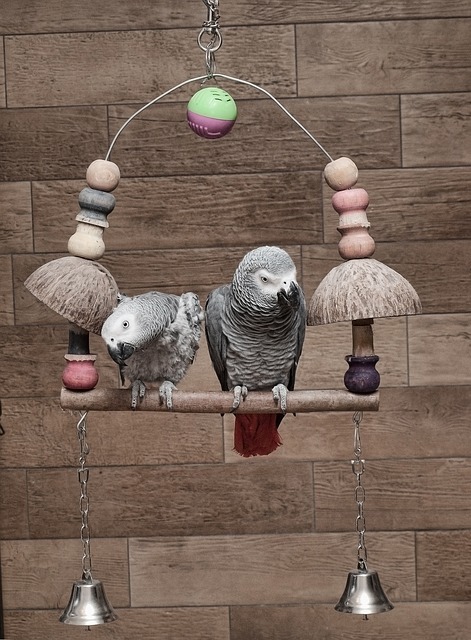 Larger parrots (such as African Greys and Macaws) will require much more robust toys than smaller birds such as Cockatiel or a Budgie. Most bird species love to sing and make a noise. Communicating is part of their nature and each bird will have their own song or whistle. Not all species of parrots talk. But they are generally fascinated by sound and will listen intently. There are many variants of noise making toys for your pet birds, and the choices are growing year on year in pet shops. Larger parrots (and even smaller Budgies) like bells they can take hold of in their beaks and bang against the cage walls. This may look like they’re frustrated by their toy, but in reality they are just letting go of some aggression! There are a range of smaller plastic pipes and rings that are suitable for most breeds of bird, but you can make your own noise-makers out of things like parrot safe bells hanging in their cages. There are also selections of small music boxes that play music when your parrot steps on the keys! Great fun for your parrot to play with, and great fun or you to watch! Some bird species are great at copying sounds. The Hill Myna is probably the most well known bird to copy sounds. Budgies have also been found to have up to 2000 words in their vocabulary. 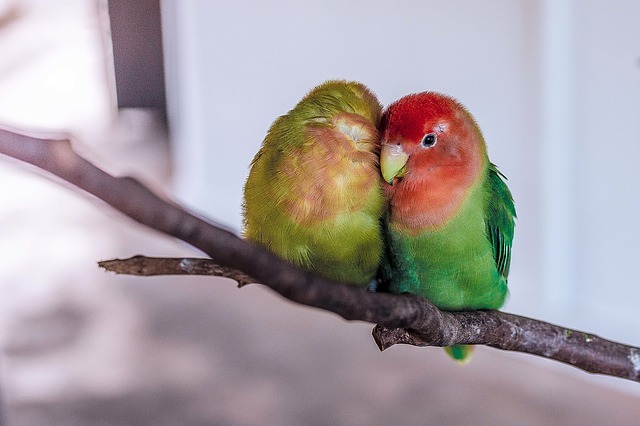 If you’d like your bird to repeat sounds it will take a lot of training and time, or you can try leaving a recording of the sound on repeat for your bird to listen to! Birds are social creatures. Most species will be happier if they have a companion, but be aware that different species can fight. Cockatiels and Budgies will live together happily, but Budgies and Finches will normally fight. Toys that encourage birds to interact suit their physical and emotional needs. Usually made out of indestructible materials (or at least hard to destroy materials) these can offer a range of things like foraging, comfort, hiding, aggression busting, foot exercise, and surrogate enemies. Softer toys (or toys that can be preened in some way) might be a nice addition near to where your bird usually sleeps. You may even find your bird giving the toy a little cuddle. Equally your pet bird may like to play peek-a-boo with his toys! Having a toy that is large enough to hide behind can amuse quite a few breeds. Avoid having long strings (that can entangle a bird) but provide something for them to grab hold of with their feet; a large thick rope for example. We mentioned above that having a toy that your bird can yell at, and give some aggression to is actually very healthy for them. These are usually made out of metal (as metal is harder to destroy). Place it next to the side of the cage so your bird can bang it loudly against the bars! Mirrors are usually a great surrogate enemy toy, but should only be provided long-term after close monitoring. Some birds can be quite distressed at seeing this potential threat. Most birds, small and large, like to have toys in their environment that they can destroy. 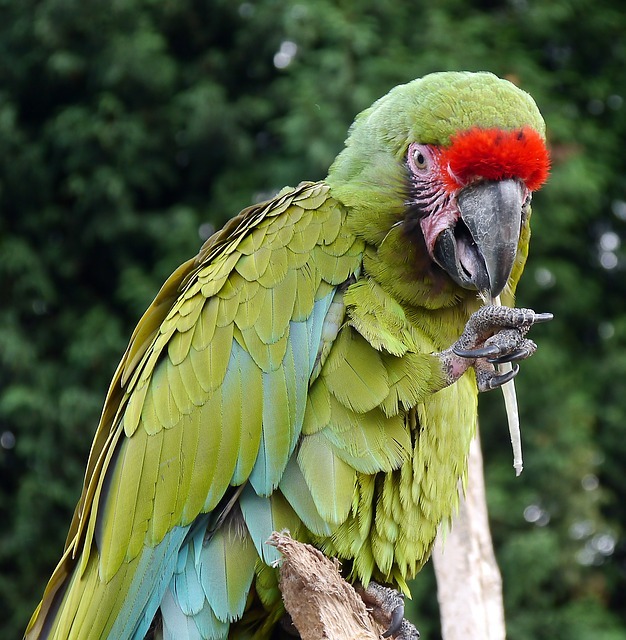 Larger parrots with a buzz saw type beak like to make “tooth picks” out of bits of twigs and wood. A lot of birds will become disinterested with their destroy toys if they are easy to destroy. They will also become annoyed if they’re too hard to destroy. 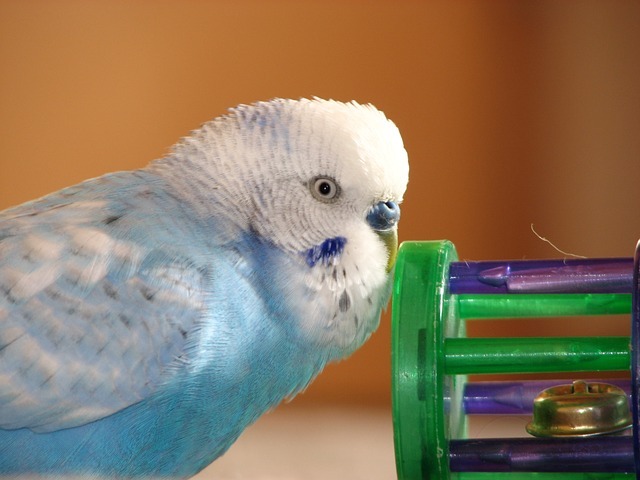 Keep an eye on your bird and be ready to replace toys when they’ve outstayed their usefulness! One of the downsides of keeping birds in captivity, is that they have fewer opportunities for exercise. While many bird owners are aiding conservation of rare species, the drawback is that they are kept in smaller environments than their wild counterparts. A great way to keep your bird active is to provide toys for them to explore this natural behaviour. Toys such as swings, spirals, and a variety of perches will really help to keep your bird amused and fit. It’s worth noting that most birds love a swing, but they will rarely swing forwards and backwards! Most bird species actually prefer to swing side to side, so don’t worry, your parrot’s swing isn’t defective or broken! We hope you’ve got some great ideas for your pet bird; many of the toys in this blog are easy to make out of everyday items you can find around the house. If you’re planning to make some destruction toys out of natural materials (bits of wood and twig etc), don’t forget to give it a quick rinse first! We’d love to see some of your pet birds’ toy creations! Tweet us a picture or drop us a message on Facebook!